India’s war of words with and air strikes on Pakistan have reinvigorated the re-election campaign of Prime Minister Narendra Modi. Opinion polls are predicting a bigger margin of victory for Modi’s National Democratic Alliance than they were two months ago. A creeping scepticism that had taken hold after the ruling coalition’s poor performance in state elections has started to recede as nationalist sentiments take over. Foreign investors are buying into the newfound conviction. Since February 22, $5.6 billion (Dh20.57 billion) of net foreign equity investments have flowed in, more than reversing last year’s net outflows. India has attracted more money than any other Asian market in the past month. Offshore mutual funds’ allocations had been at multi-year lows before the rebound. The benchmark stock index has risen about 9 per cent from its low in late February. Industrial and financial companies have found favour, defying doubts over banking system vulnerabilities and the central bank’s independence. Larsen & Toubro Ltd., Adani Ports & Special Economic Zone Ltd., VA Tech Wabag Ltd. and Dilip Buildcon Ltd. are among those that have posted gains. Optimists appear to be betting that Modi’s re-election will boost investment activity in sectors such as construction and infrastructure — and particularly the prime minister’s pet projects. VA Tech Wabag, for instance, has risen almost 40 per cent from its January low after losing close to 60 per cent of its market value last year. The builder of water and sewage-treatment plants has a contract to help clean up the Ganges river, an effort Modi has denoted as a priority. 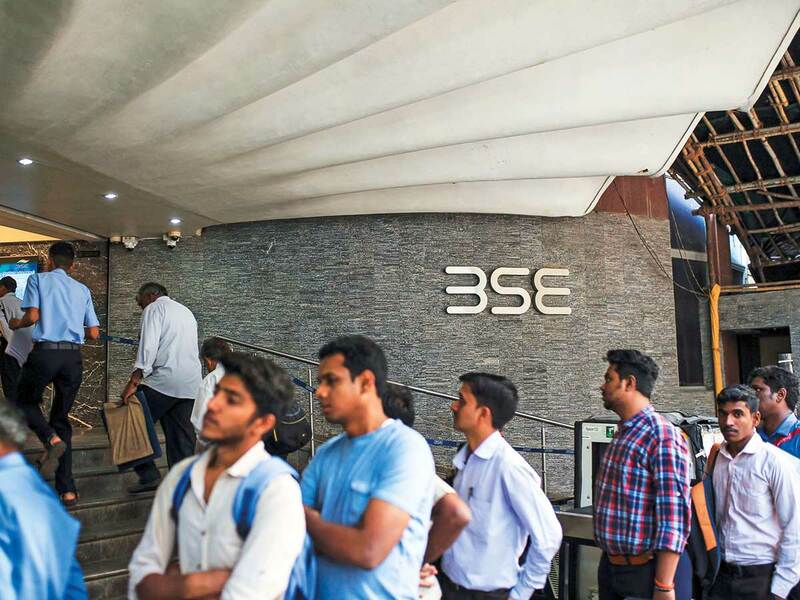 Historically, pre-election stock market rallies in India tend to find their footing as “certainty around continuity of power” emerges, according to Sanford C. Bernstein & Co. analysts. Typically, cyclical sectors lead, especially mid-cap stocks. In every Indian election since 1996, auto, cement and energy companies have posted double-digit returns in the six-month period leading to the final results. So the emerging excitement isn’t completely surprising. However, this rally doesn’t have much grounding in macroeconomic reality. Growth is slowing, and investors have plenty of reason to be cautious: There are questions over what’s really guiding monetary policy after tussles between the central bank and government; the banking system has more than $200 billion of non-performing loans; and nonbanking finance companies have their own travails. Stock investors may be placing too much faith in the prospects for a post-election investment spurt. Growth in proposed infrastructure outlays has been lacklustre, capital expenditure — after initially rising — has dropped, and signs of an industrial slowdown persist. Passenger car sales have been slowing. The hope that private investment and capital expenditure will rise has been repeatedly dashed. Meanwhile, corporate plant and machinery capacity has declined to lower levels than during the 2009 and 2014 pre-election periods. Sure, some one-time indicators paint a rosy picture. Urban inflation may be low, but depressed agricultural prices weigh on rural incomes. An uptick in loan growth mainly reflects a transfer of assets from nonbank financing companies. The best investors can hope for may be an extension of Modi’s populist policies: more cash transfers, rural handouts and self-serving projects.